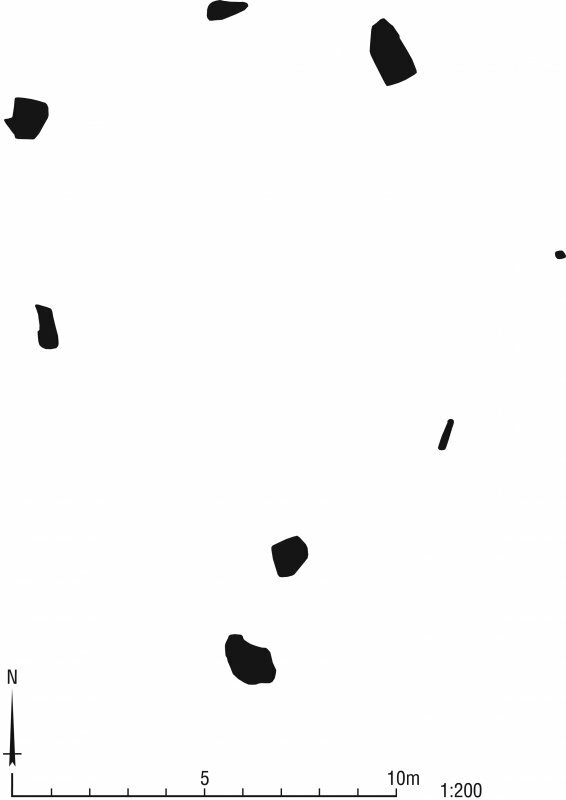 Extract from OS 6-inch map 1869. Plan of St Colmac's Stone Circle. 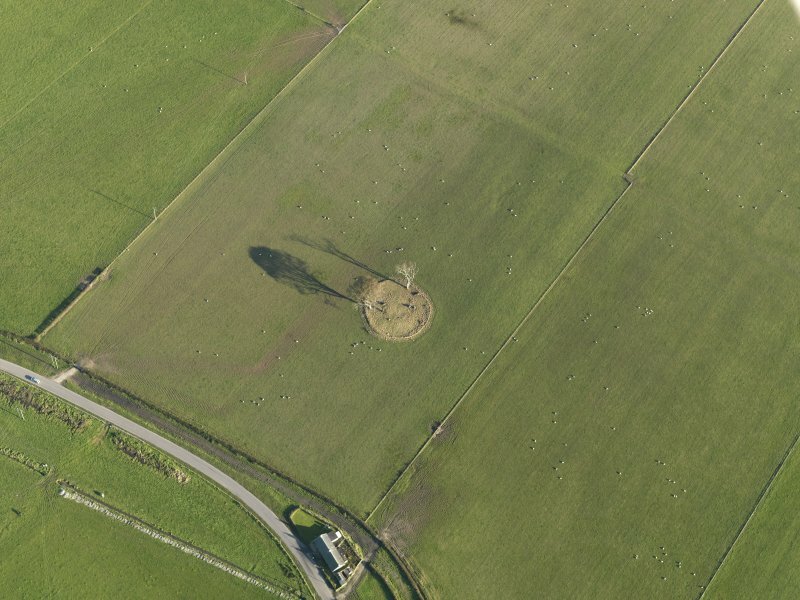 Oblique aerial view centred on the remains of the stone circle, taken from the W.
General oblique aerial view centred on the remains of the stone circle, taken from the NE. General view. An image from the Buteshire Natural History Society archaeology photograph album, held at Bute Museum. 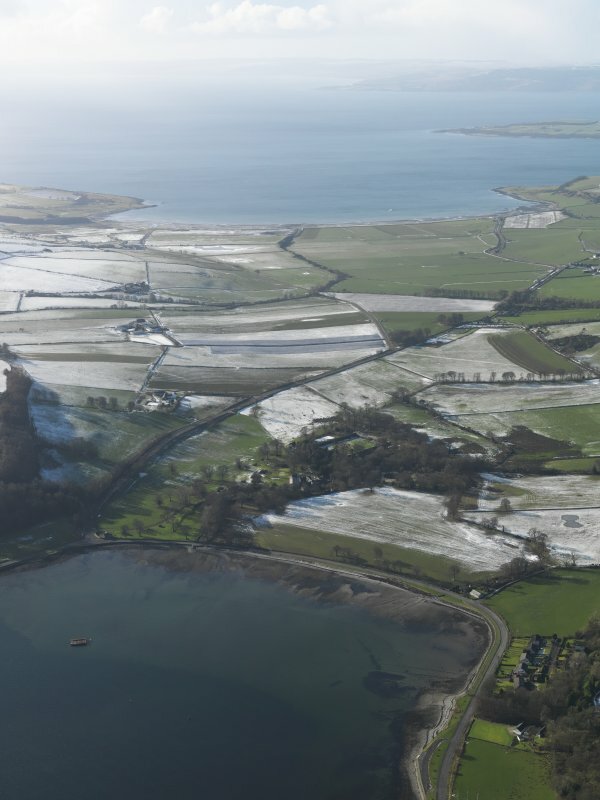 Oblique aerial view centred on the stone circle, taken from the E.
Oblique aerial view centred on the stone circle, taken from the S.
General oblique view of Kames Bay centred on Kames Castle, taken from the NE. 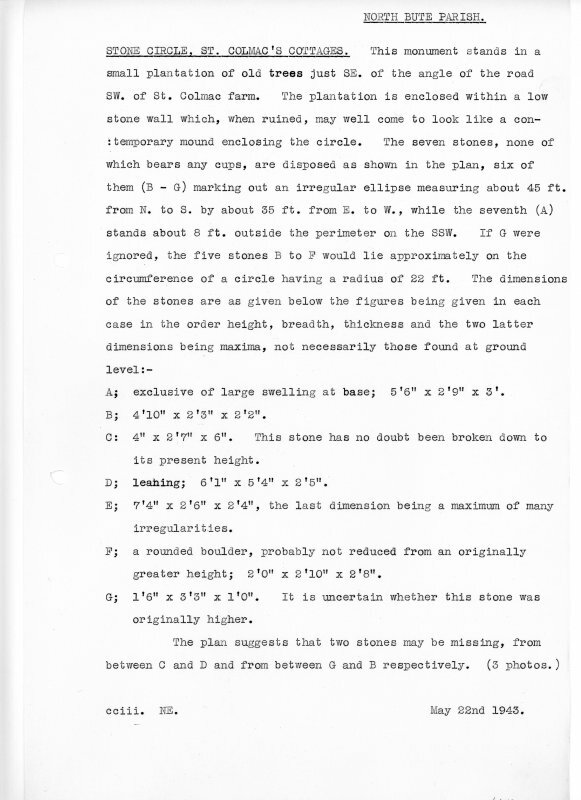 RCAHMS field survey plan of Colmac Stone Circle. 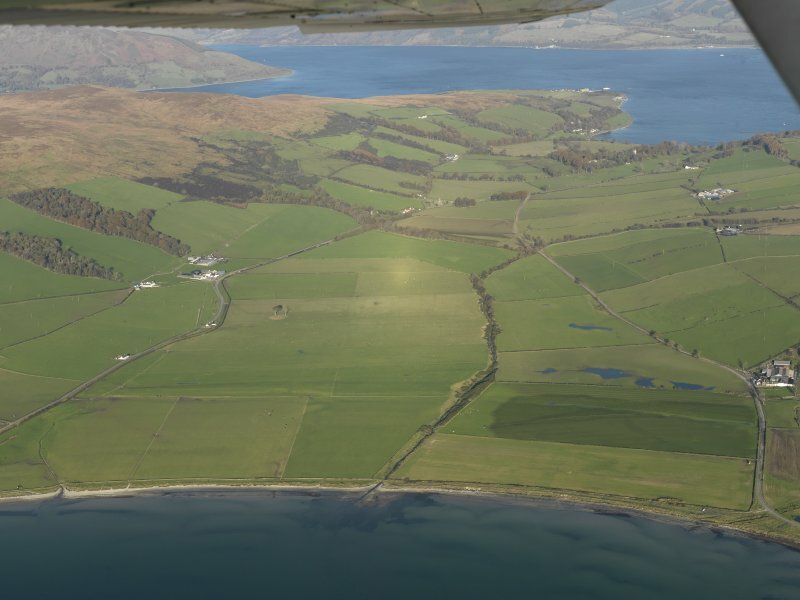 General oblique view looking across Kames Bay and the Isle of Bute towards Ettrick Bay and Kintyre beyond, taken from the NE. 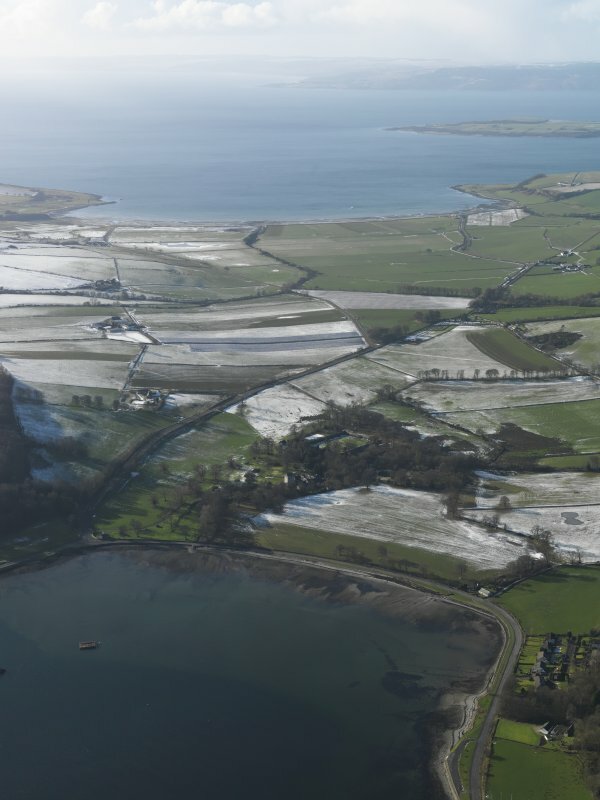 General oblique aerial view of Ettrick Bay looking towards Ardmaleish Point, taken from the SW.
Georgina Brown of RCAHMS surveying at Ettrick stone circle. 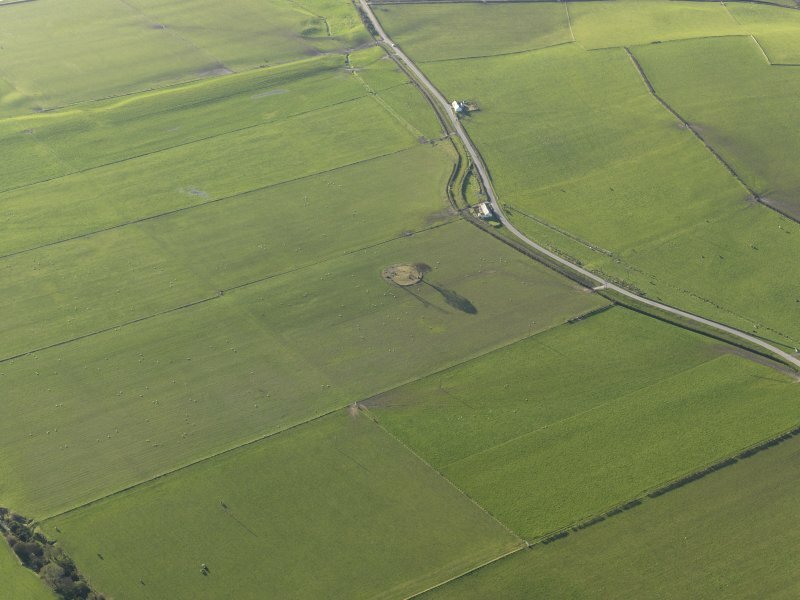 Oblique aerial view centred on the stone circle, taken from the SW.
Oblique aerial view centred on the remains of the stone circle, taken from the NW. 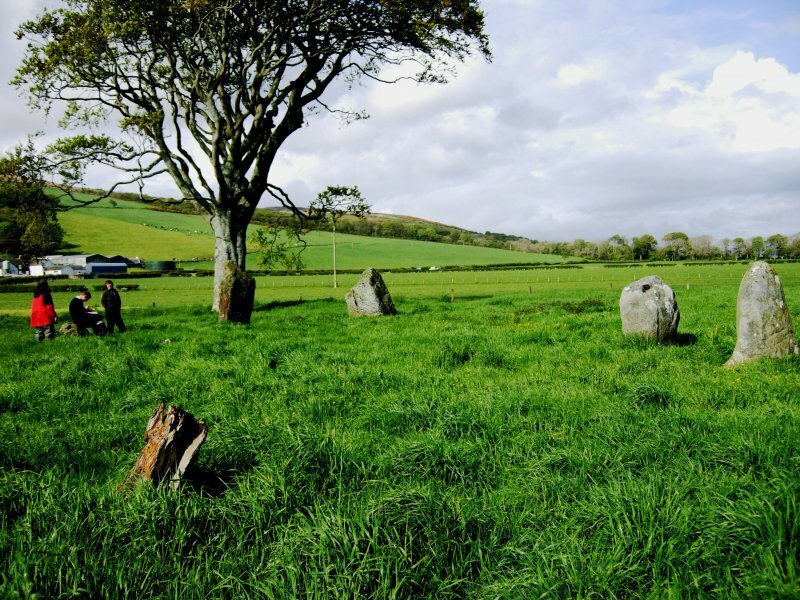 At St Calmag's, near Ettrick, there is a Druid's temple in considerable preservation. 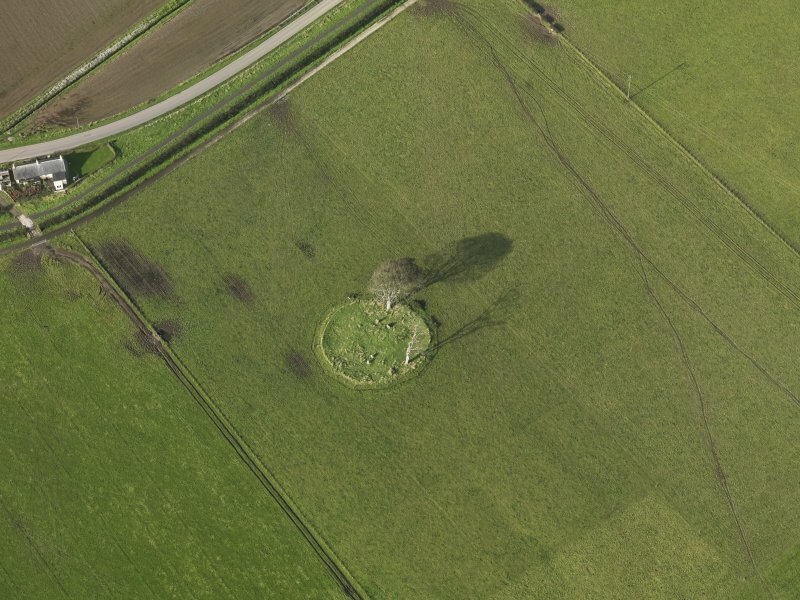 In a field on the left hand side , about half a mile farther on, are seen the very distinct and well preserved remains of a druidical temple, encircled by a grove of trees. very little seems to be known of the origin of this, or of the many other similar places of heathen worship in the island. 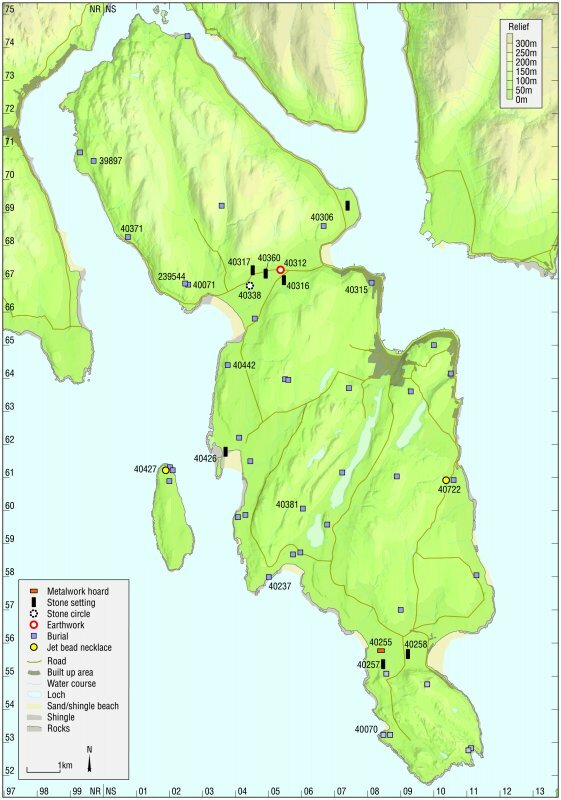 There is a stone circle, about 45ft in diameter, within the circular beech plantation, 460 yards south of South St Colmac. When complete, it consisted of nine stones, but now its plan and the dimensions of the stones are as given on Hewison's plan. 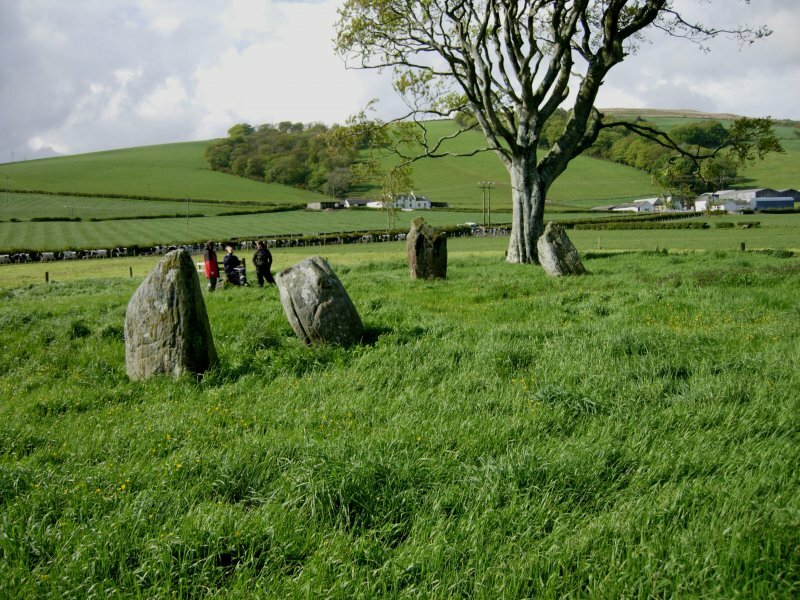 A stone circle situated within a small beech plantation in level pasture land. It comprises four complete stones (C, D, G and H on plan) and the in situ remains of four broken stones (A, B, E and F on plan). There is no trace of the ninth stone mentioned by Hewison. 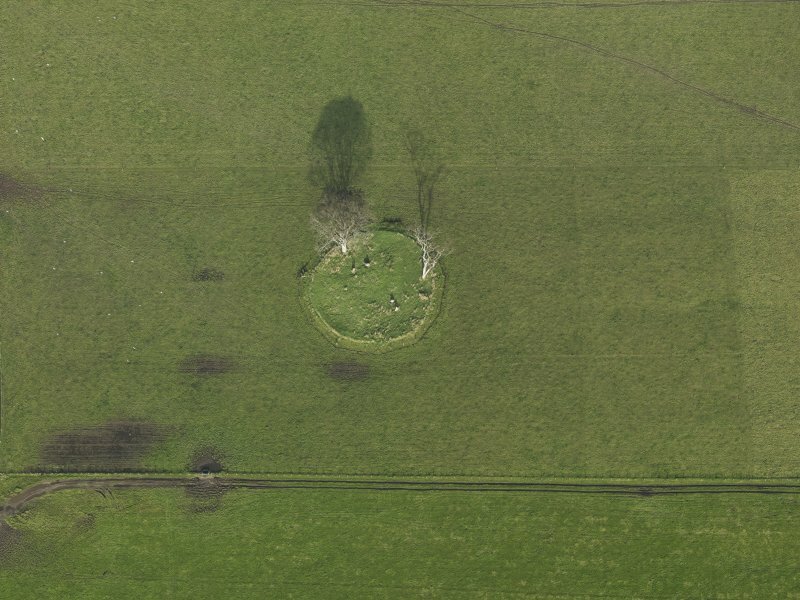 This stone circle, which stands within the remains of a small beech plantation 130m SE of St Colmac Cottages, comprises eight stones on an internal diameter of about 13m, with an outlying stone (1.7m high) immediately to the S. Of the stones in the ring, four of them are erect, ranging in height from 0.55m to 2.4m, and three survive only as stumps. The circle is enclosed within a plantation bank measuring about 33m in internal diameter; only two trees now grow within it. 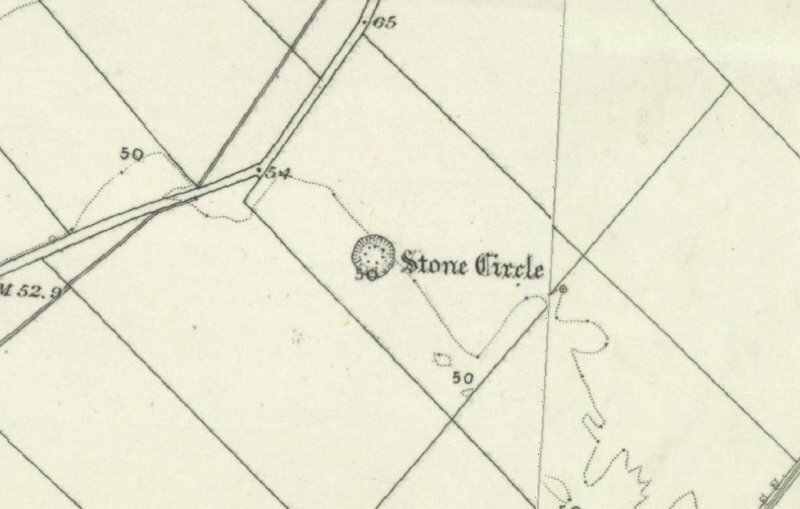 There is compelling evidence that a second stone circle stood 25 yards to the W and was 'blown with powder' in the first decade of the 19th century (Aiton 1816, 118-9; RHP14262). 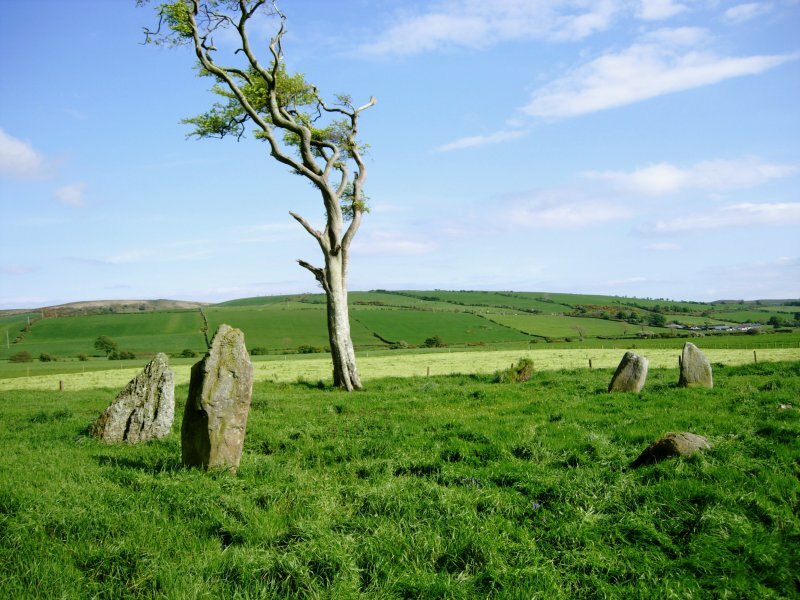 On the fine fields of Kilmahalmag, near the west coast, are the remains of a Druid temple - the stones not so large as at Kingarth (NS05NE 8). A clump of trees, wherewith it was some years ago surrounded, prevent it from being seen at a distance. 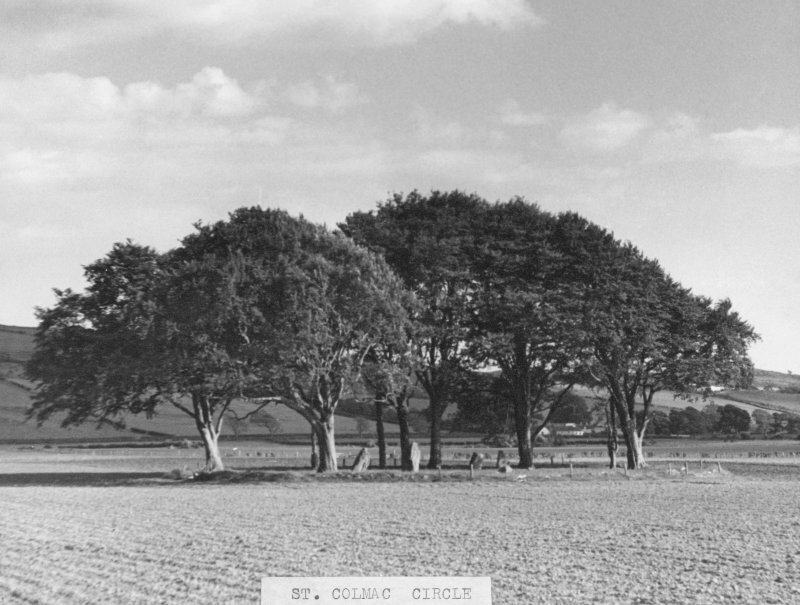 The St Colmac stone circle consists of an extant stone circle that measures c13m diameter internally. 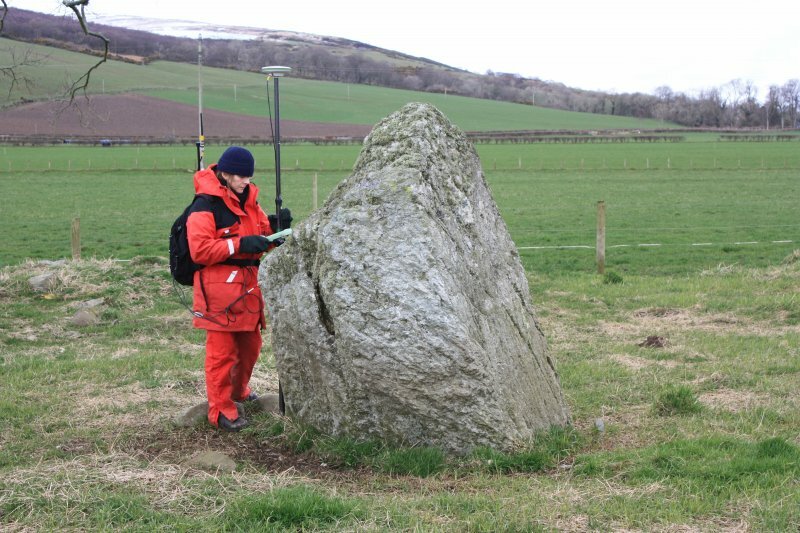 Work on 18th-century cartographic records and archive research by George Geddes of RCAHMS had suggested a second stone circle was located c25m to the W, prior to its removal by blasting powder in the early 19th century. 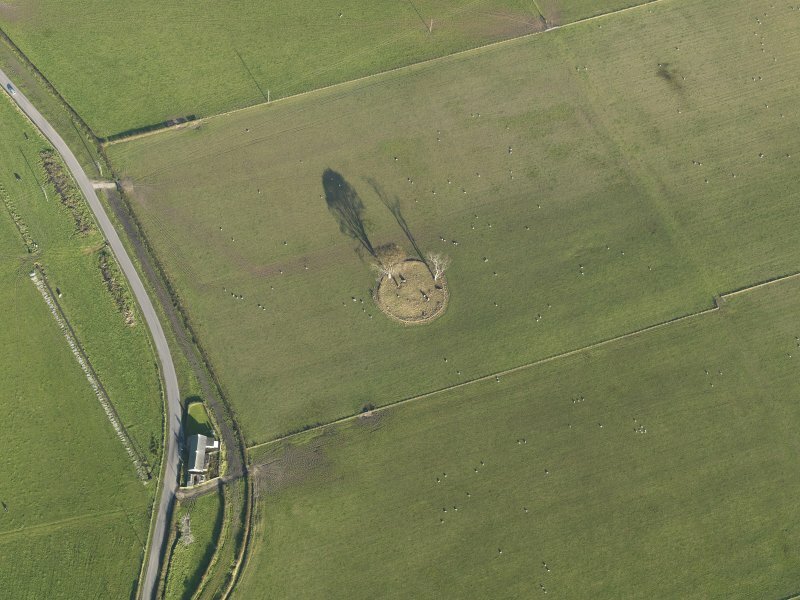 There is little visible evidence of the second stone circle. 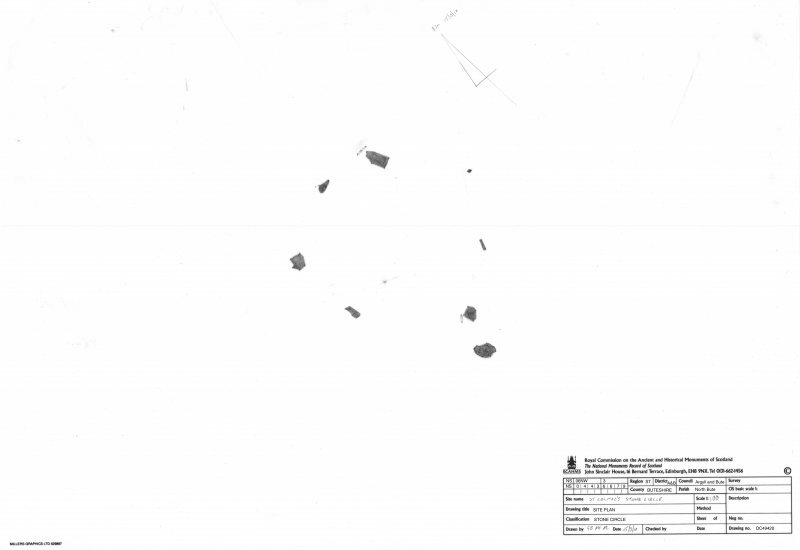 A geophysical survey was undertaken 30–31 July 2011 at the request of the DBLPS to further investigate the site. 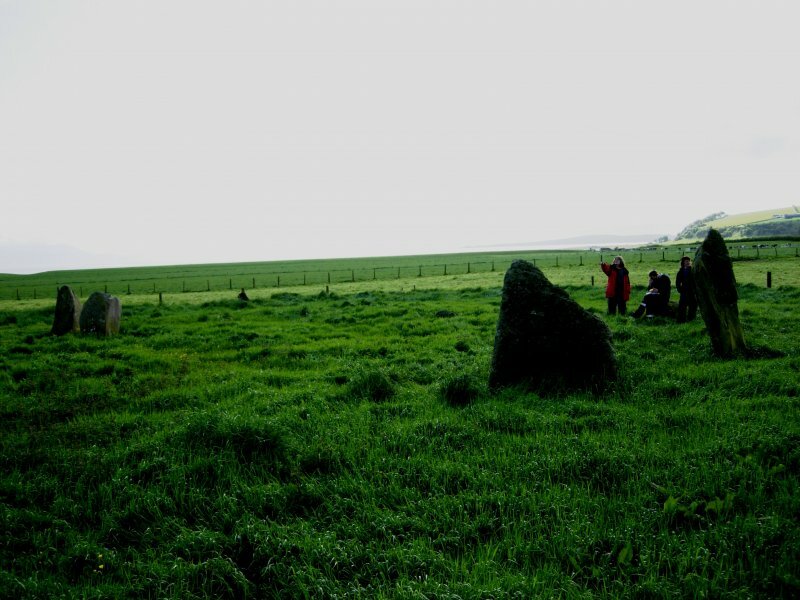 Whilst there is some confusion in the results arising from the natural geology and shallow bedrock the ‘lost’ stone circle is apparent in the data. 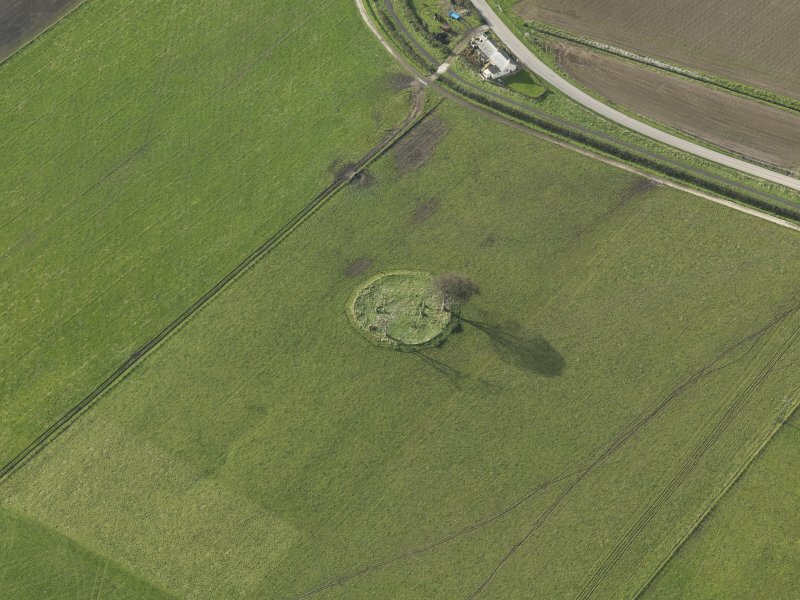 It is roughly circular in plan, c22m in diameter and located c40m NW of the extant stone circle. It is possible to identify six potential stone sockets, with the data suggesting that at least two may contain remnants of standing stones, though the survey resolution does not make this identification absolute. Perhaps as important, but more surprising, is the detection of two sub-circular concentric, but offset, ditches with a central rectangular structure. 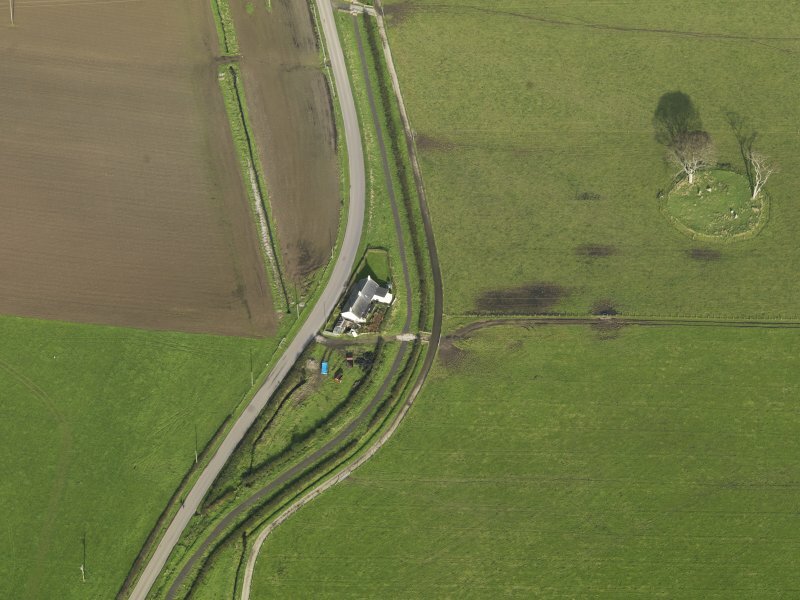 The structure (c11 x 8m) is orientated roughly N–S but presents no anthropogenic signature in the gradiometer data, as might be expected from a dwelling. It is possible that this is the site of a Christian chapel. Whilst this site is close to the known chapel site of East St Colmac c300m to the N, its location close to a stone circle does support its interpretation as a potential chapel site.